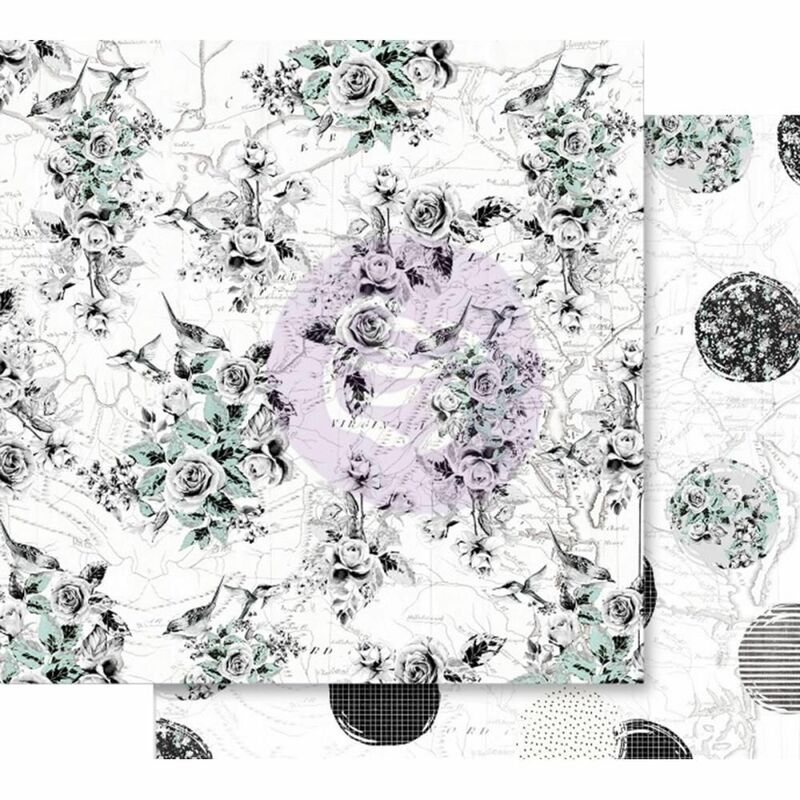 This 12x12 double sided paper is stunning - You'll find Florals, Birds & Branches. The frontside of this paper has Foil. On the reverse side you'll find Large Dots with Patterns. Part of the Flirty Fleur Collection by Prima Marketing look for coordinating Designer Papers & Embellishments.